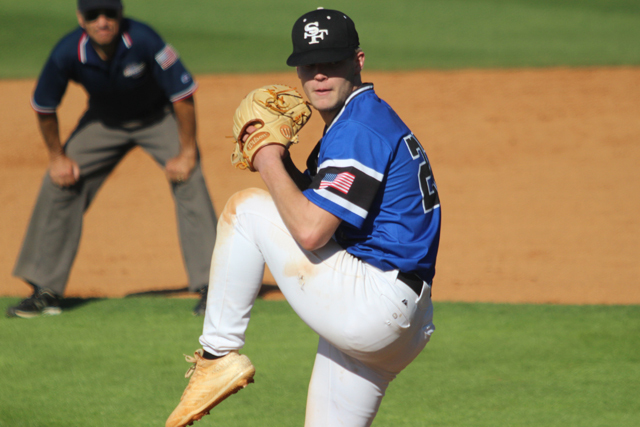 There won't be as many players as last year when Perfect Game selected nine from Georgia, but five rising seniors from the state will play in the prestigious Perfect Game All-American Classic at Petco Park in San Diego on Sunday, August 12. Blessed Trinity infielder CJ Abrams, ranked as the nation's No. 3 prospect for the Class of 2019, will be joined by Bulloch Academy pitcher Daniel Espino, Collins Hill shortstop Nasim Nunez, Westlake shortstop Myles Austin and South Forsyth pitcher Landon Sims on the East squad. Since the all-star game started in 2003, 206 of the participants were eventual first-round draft selections in the Major League Baseball Amateur Draft.Nine of those players were selected with the first overall pick, including 2017 No. 1 overall pick Royce Lewis (Twins). In addition, 158 players that have participated have played in the Major Leagues including some of the game’s brightest stars.